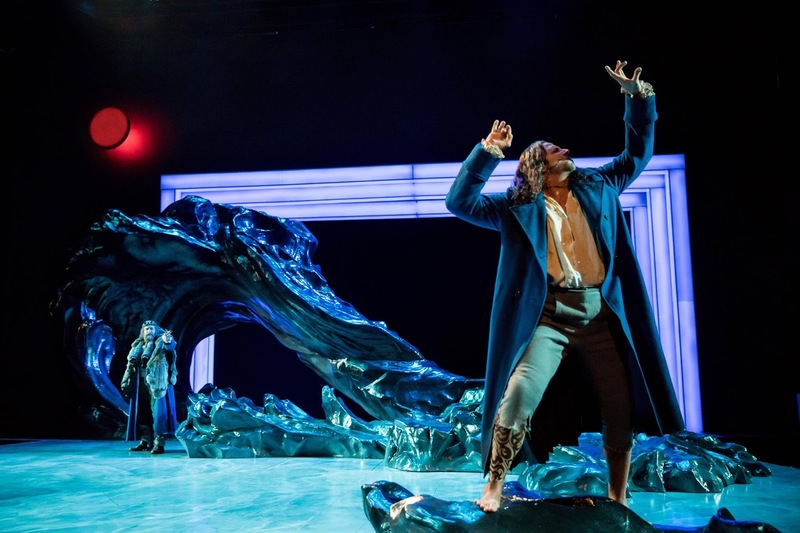 The playwright imagines the story as a conversation between Dr. Frankenstein and his monster after the former has chased the latter around the world and eventually to the North Pole. Through a series of memories we see their joint story unfold. And it really is a joint story; Frankenstein and his monster have many parallels, including the long blue coat that they wear. It's a tragic story, really. The doctor who is all facts and reason, with little time or patience for feeling, and the monster who only wants to be loved. It reminds me a little of the HBO show Westworld - science has a created a human-like being but is unprepared for the havoc that ensues when the being has feelings and thoughts of its own and can no longer be controlled. And in the real world, our technology has outpaced our ability to deal with the unexpected consequences (eg: Facebook). Such are the ideas brought up by this 200-year old book that still resonates today. The wonderful six-person cast is led by our main Frankenstein and creature, who rarely leave the stage. Zachary Fine (last seen in An Enemy of the People) is strong and sympathetic as the aging and ill doctor, trying to make right his wrongs. 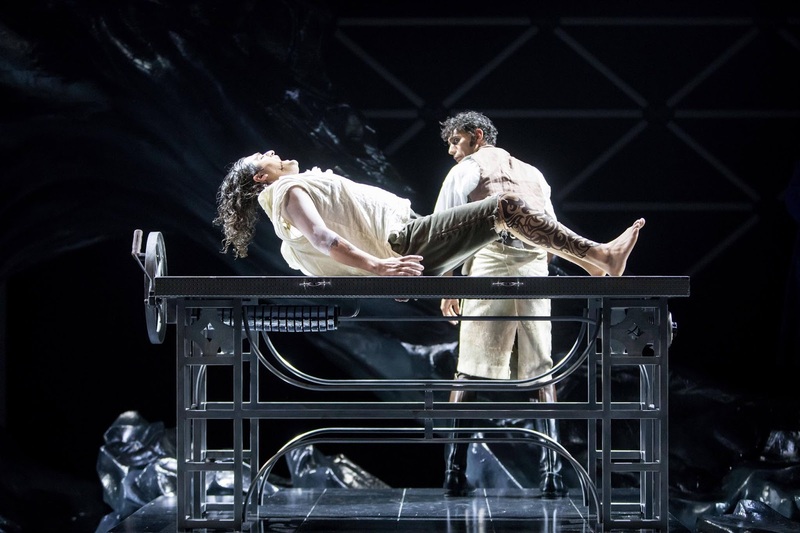 Elijah Alexander (previously seen in Watch on the Rhine) is the handsomest Frankenstein's creature I've ever seen, and the choice to make the monster less monster-like in appearance allows us to see his humanity more clearly. But still, Elijah portrays him with an awkward gait, halting speech, and almost animalistic grunts to remind us that he is something other. Bringing the memories to life are Amelia Pedlow, the sole woman in the cast, as Frankestein's fiance and the only thing keeping him human; #TCTheater favorite Robert Dorfman, providing a little come relief as an eccentric professor; Ryan Colbert as the young, ambitious, and all too clever Dr. Frankenstein; and Jason Rojas as a young creature, bringing him slowly and painfully to life. 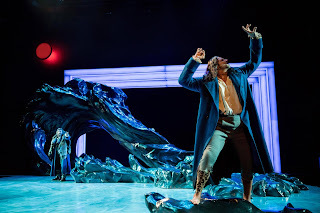 I'm happy to note that this production has both a Fight Director (Aaron Preusse) and an Intimacy Consultant (Lauren Keating). This is the first show I've seen with an Intimacy Consultant (aka Intimacy Director or Intimacy Choreographer), but not the first that's needed one, since learning about this important new field at The Great River Shakespeare Festival this summer. For more information, visit Intimacy Directors International, with whom Lauren trained. I hope and expect to see more of this in the future. 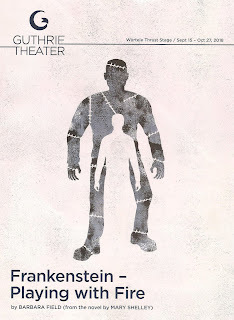 Frankenstein - Playing with Fire continues through October 27 and is just the thing to gear up to the Halloween season. Scarier than any monster is our technology when we can no longer control it.